It could be that I’m bitter that we thought the Jets were a great bet last week, and we got torched on it…but I re-watched this game and Denver earned the win for sure – however, what a bunch of lucky BS. If you think Denver has now righted some kind of ship…you’re sorely mistaken. This was the Denver team that was losers of eight-in-a-row prior…they just happened to win this game. Basically, the Denver offense is boring low ypc runs between the tackles, and Trevor Siemian heaving passes to covered receivers and they make the catch by adjusting to the fling before the covering defender can. The first 10 points Denver scored here made me want to turn this tape off…a 20+ yard floater downfield and a Denver WR adjusting to it and converting a big 3rd-down on the first series, setting up a field goal and then the Jets fumble and set up Denver for an easy score moments later – a Siemian floater to Demaryius Thomas who played it like a left fielder shagging a pop fly and the defender not realizing what was going on behind him in time. Denver got up 10-0 quick. The Jets couldn’t move the ball. The Broncos started running a lot to kill the clock. Josh McCown got hurt and lost…and it was just over, and dreadful. Neither of these teams are going anywhere and neither of them should be proud of this game, except maybe the Denver defense, I guess…but the Bryce Petty appearance was a help. -- What to make of Robby Anderson (3-27-0/6) with Bryce Petty? It’s my #1 question/issue of the week. It’s not even a question…it’s a question wrapped in a theory. Let’s be careful rushing out too far comparing apples and hand grenades here. Before I speak to the reasons for concern about Robby for Week 15 and the ROS, let me review my credentials. I was the only scout in football to push Anderson as a top 10 WR prospect in the 2016 NFL Draft class…and laid out a case where he might be as good as THE BEST wide receiver in the class. I don’t come to the Robby Anderson party empty-handed. I’m a fan since Day One (Ish). I know how good he is. So, when I raise an issue…I don’t want it to be true. But there’s an issue here. (1) First, let’s address Bryce Petty (2-9 for 14 yards, 0 TD/0 INT) in this equation. He’s awful. This is not a Case Keenum miracle about to happen. If I had to choose between Petty and Nathan Peterman, I’d go Peterman. Petty is not good at being an NFL QB. He threw for 3 TDs/7 INTs in his 4 starts/6 games last season as a late fill-in. He completed just 56.4% of his passes, and probably more like 20% if you take away all the cheap dump passes to Bilal Powell. No real progress in the preseason that I saw. We’re working with a ‘D’/’F’ grade QB here. If he were a D+/C-…maybe a little more hope for Robby. Last season, Petty faced three terrible teams/defenses (LAR-IND-SF) and one so-so one (MIA)…four major games of play…3 TD passes. Yes, two of them to Robby Anderson. We have to begin the analytics with the likelihood that Petty throws 1 TD pass, max, in any game…and we have to hope that TD goes to Robby. We need a lot to go right with a bad QB here. In 2016, non-Jets fans and non-FFM readers didn’t know who UDFA WR Robby Anderson was…who he really was. Football analysts were even more clueless…as they talked up Charone Peake. So, because the media wasn’t on it…the NFL defensive coordinators that work 25 hours a day and sleep on stacks of flattened Amazon delivery boxes in their office didn’t know or care about Robby Anderson either. Quincy Enunwa was the emerging name to worry about, and their eyes were also on Brandon Marshall…and they probably planned for Charone Peake too, because he’s so good. Anderson drew the 3rd, 4th, 5th best coverage last year with Petty because he didn’t matter to no-nothing defensive coaches. Anderson hadn’t really emerged yet. Robby was getting the least amount of attention from some of the worst defenses in the NFL, and he connected on a few deep balls (like one time in two of four games with Petty)…because Anderson is amazing at that. Note…Petty stinks at ‘passing’, so all you can hope for is Anderson coming down with a long, jump ball. Robby cashed two prayers in with Petty last year against terrible defenses with the worst coverage on him. NOW, a year later, people know Anderson is the Jets one and only threat at WR. He will draw the BEST coverage and the MOST attention from the defense. If Field Yates is pointing out the ‘Robby + Petty 2016 love story’, then you know the opposition is clued into it. (3) I’d like to roll with Robby even with Petty problem, even with the extra attention…because he’s likely to get 8-10 targets, but there’s one more problem – Anderson is not facing the worst defenses in football with Petty like he did in 2016. This week, he gets the on-fire Saints defense. He could draw shutdown corner Marshon Lattimore, or he could draw Ken Crawley as Robby moves around…each are very tough matchups. With McCown at QB this is a bad matchup for Robby…what do you think it is with Petty? Could Anderson see a deep ball/hail mary type throw and make a Robby A. play? Sure…I hope he does. But I can’t bet on it. I can’t project him with heavy odds for a TD against Lattimore/Crawley with Petty. We’ll be lucky, with this coverage, that Petty completes 5 passes to him, but more likely 3-4…and if he does, it will probably be short, safe stuff with the Saints playing back. We have to hope Petty takes a deep shot to Anderson, and that great cover guys falter, Petty puts it on the money, and Anderson comes down with it. It’s a lot to ask…and it’s not ‘like 2016’. It’s totally different. If you’re playing WRs this week because ‘they might make a big play’…so might Ted Ginn, Josh Doctson, or Paul Richardson. I’m not saying start any one of them over Robby, but I am saying we have a pretty weak hand with Anderson + Petty vs. Lattimore/Crawley. We have ‘get lucky’ as our hope. I kinda like Paul Richardson in the ‘get lucky’ category…or a Marquise Goodwin. They may not get as many targets, but they’ll get more on-target targets from their QBs. I dislike Robby v. the Saints duo. I don’t really like Robby vs. the Chargers the following week, nor Week 17 vs. the Pats if that game matters to New England. Doesn’t mean Robby won’t do a ‘Robby’ and haul in a 50+ yard TD. I could say that about a lot of WR3 options this week…all of them facing worse coverage and working with better QBs. -- Speaking of WRs getting passes flung to them and you hope something good happens…Demaryius Thomas (8-93-1-/12) had a shockingly good game here. It feels like Demaryius is terrible for fantasy, but the number trends for the 2nd-half of the season would say otherwise. A normal, random game for DT would seem to be…about 5 catches, 50+ yards, and a coin flip shot at a TD. This week he’s facing the #30 pass defense (by yards allowed) and the Colts’ best cornerback is out hurt. How can you not like Demaryius this week? -- I think Eljah McGuire is going on the IR or at least misses this weeks game. 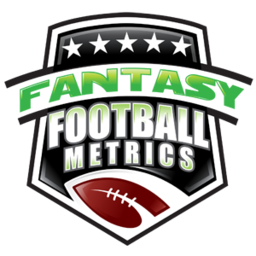 Matt Forte is always banged up and having up and down spikes of performance…Bilal Powell may matter (13-35-0) a little more down the stretch than this season’s flow has dictated. Powell is not great and he has kinda bad matchups, but he might be seeing a bunch of touches and have some meaning ahead. Not sure…just speculating, but just putting it out there in deeper leagues. -- The Denver DST pitched a shutout here…so are they back, now? I don’t know…I don’t think so. This is the same defense that got torched by Miami before this game and had allowed 20 or more points to nine of its last 10 opponents. They can shut down passer yards and they used to be solid versus the run but somehow teams found ways to score all over them…and now we have to believe a 10-game tide has turned because McCown/Petty didn’t score on them? The Broncos defense has lost half+ of their D-Line. They just lost nice 2nd-year DB Justin Simmons. It’s a banged up unit with a bad offense. Sure, at the Colts this week…I like it. At Washington the following week…ehhh..maybe?